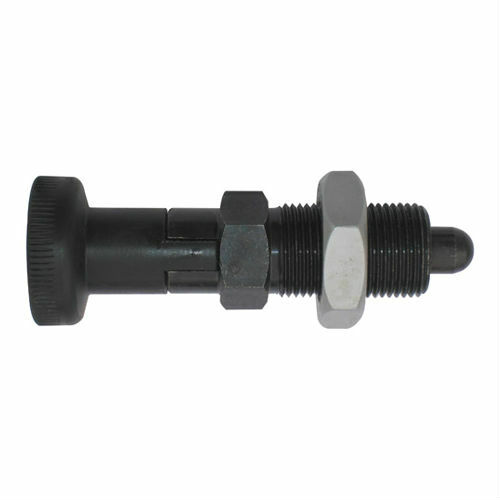 Request a quote for Standard Knob - Retractable Plunger without Nylon Patch today. The body and threaded stud of this retractable plunger (also known as an indexing plunger) are manufactured from the highest quality steel with a knob comprised of an ultra-tough plastic. A simple 90 degree twist engages the locking element, thereby holding the plunger in the retracted position until disengaged by a reverse twist. This plunger has been designed and tested to withstand side loading. Please see component diagram below.